Many literary figures throughout history discovered the cathartic effects of writing. This form of expression can help individuals get their emotions out, relieve stress, and organize jumbled thoughts. The child welfare system has started to leverage blogging as a way to provide a therapeutic outlet for children. Consider these four ways in which blogging is empowering youth in foster care. As children send their thoughts into the blogosphere, their audiences will learn about their experiences with education, social programs, and extracurricular activities. Feedback on successes and failures can be found in these blogs, which can lead to improvements to these children’s lives. Just think of the 9-year-old Scottish blogger who wrote about questionable cafeteria meals. Her posts were noticed by acclaimed chef Jamie Oliver, and led to a major shift in her school lunch program. Children in high-risk areas may reveal details about peer pressure, crime, or negative influences, which can encourage social workers to step in. Youth may also write about the books, role models, and mentors who inspire them, and caregivers who deserve recognition. Encouraging students in foster care to blog can give us a better window into their lives, and allow social programs to provide better support systems. Foster children do not have the steady influence of parents in their lives; they may not feel they have a voice to express their interests and wishes. Blogging provides youth with a potentially vast platform of readers. Social welfare systems can draw attention to these children’s major accomplishments by encouraging them to share via a blog posts. Informal social media communications removes a lot of the pressure in sharing, but it also provides an important outlet for these youngsters. Many foster children wait for significant periods of time to find a family. As adoptive parents seek a new addition to their family, they can learn a significant amount about a child by viewing his or her blog entries. Childhood writing is intensely personal, demonstrating a child’s potential dreams, goals, and aspirations. Children who live in even the best foster care situations are susceptible to high levels of emotional stress, depending on their current adoption status, foster care history, and parental history. Some of these minors may have been relocated due to abuse, negligence, or a parent’s inability to care for a child. These children may have been exposed to many negative influences in their lives, which can lead to psychological trauma and other issues. Writing in general can provide comfort for children in distress. Additionally, blog posts can direct social workers and therapists toward an issue so they can provide further aid. Academics have long researched on the reparative effects of expressive writing, by encouraging individuals to participate in clinical tests. Writing as an outlet may lead to more well-balanced individuals, who articulate their thoughts and feelings more effectively. Many children in foster care may feel a lack of control over their lives. Their admittance into the foster care system may not have been voluntary, especially if child protective services intervened and removed them from a hostile environment. Giving children the tools to blog enables them to express themselves creatively, emotionally, and rationally. Foster care staff can increase youth literacy by encouraging them to write fantastic short stories, lyrics, and research essays. Children can also share artwork on their blogs. Written expression in afterschool programs can help these youth feel a greater sense of control over their lives and environment. Foster care systems hope to incorporate newer technologies and learning methods into their daily operations. Tools like blogging can lead to a more in-depth understanding between children and foster parents, greater accountability, and therapeutic relief. 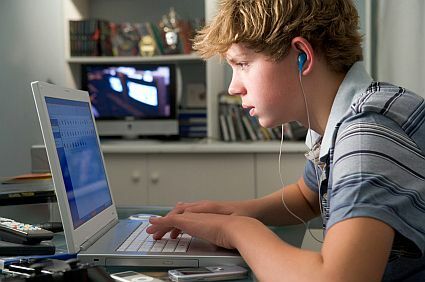 As the digital era makes educational materials more accessible, new generations of tech-oriented youth can use blogging to express themselves online.